PasarBella. Suntec City Oktoberfest 2016 @ PasarBella. PasarBella Traders are unique and passionate individuals that are looking for a platform to showcase their culinary talents. If you think you have what it takes to become a resident tenant, contact us today and we’ll help you make your culinary dreams come true! 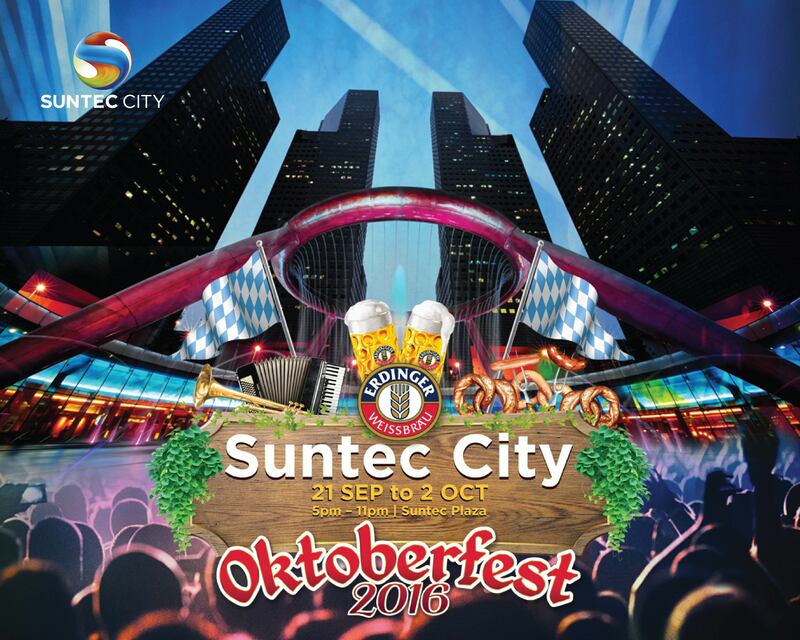 Suntec City Oktoberfest 2016 is here! Come on down to the Beer Garden at Suntec City for a jolly good time. Raise your mugs to refreshing Erdinger beer for just $12 per pint, dig into sumptuous food and soak in the party atmosphere. Participate in our exciting booth and stage games to win attractive prizes, it’s all happening at Suntec Plaza from now till 2 Oct! Sign up for our newsletter to keep up to date with what's happening at PasarBella.